How can extreme cold and ice in Ohio cause your homes roof to leak? Ohio is known for its harsh winters. Located downwind of the Great Lakes, Ohio is often subject to large, cold air masses moving down from Canada, resulting in extreme cold. This is compounded by the fact that Ohio is not consistently cold through the winter, resulting in a freeze/frost cycle that produces large quantities of ice. Such ice can easily cause ice damage to a roof, which results in a roof leak. 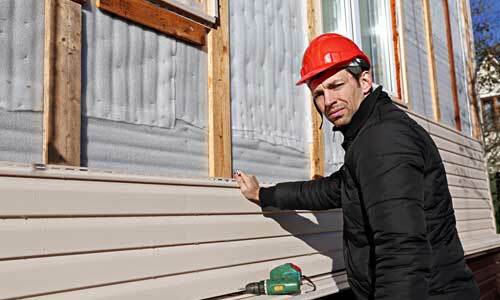 Over time, these leaks can weaken the underlying plywood and timbers, ultimately leading to a collapse. Even if a collapse does not occur, the penetration of water enables molds to grow, which will slowly consume interior timbers, as well as expose the occupants to mold spores. As such, it is important to understand ice damage and prevent it where possible, repair it where not. Ice damage occurs because water expands as it freezes, and this expansion turns very small cracks and intrusions into large ones. Damage to the roof begins when water seeps into cracks caused by normal wear and tear and then freezes due to a sudden drop in temperature. This most commonly occurs when a long rain is followed by a cold front. During the long rain, water has plenty of opportunities to seep into any roof leak that has been left unattended, and when the water freezes, it expands and greatly increases the size of the leak. This can also occur when snow is not removed from a roof soon after it has fallen, and melting snow seeps into the roof over time. This process, repeated over many cycles, results in significant roof damage, from destroyed roofing tiles to structural damage. 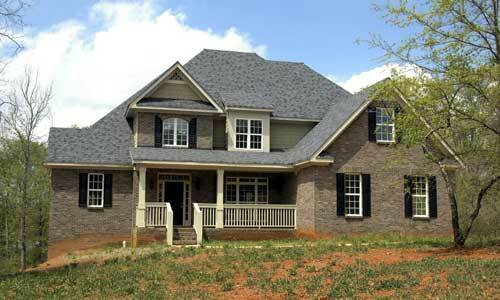 The best way to prevent the damage then is to prevent the water from penetrating the roof. This requires that the roof is inspected and repaired during the warmer months before ice and snow will become a problem. Loose or damaged shingles should be replaced, and the underside of the roof should be examined for leaks, which can be spotted by the intrusion of mold around the leak, as well as small traces of water damage. The presence of mildew on the inside of a roof is an indication that water is seeping through, even if the water does not get through the attic to the rooms below. In general, this visual, internal inspection is sufficient, since serious roof damage takes time, and is usually the result of extended neglect. A quick inspection inside the attic should be sufficient in most cases when combined with an external inspection of the roof. It is not necessary to get on the roof to conduct this inspection. If damage is found, it is best resolved quickly. Most damage can be resolved by replacing damaged shingles or roofing tiles and then treating the wood underneath to eliminate mold and fill in cracks. 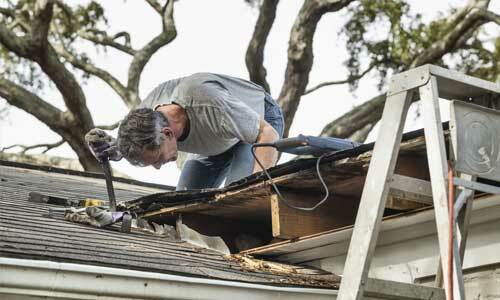 However, more severe damage may require the replacement of portions of the roof. In either case, this is work best done by a professional, since working on a roof can be very dangerous.